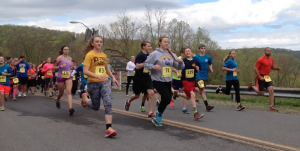 ELK GARDEN, W.Va. — The Mineral County Aging & Family Services is proud to announce that we will be hosting our sixth annual Conquer the Dam 5K fundraising run/walk at Jennings Randolph Lake on Saturday, May 13, 2017. Mail-in entry is now open. Race-day registration begins at 8:30 a.m. on site while the 5K run/walk begins promptly at 9:30 a.m. Proceeds from this event will support the Meals on Wheels program of Mineral County. The highlight of this event is that runners and walkers will travel over the dam and spillway, which are normally closed to public travel. Conquer the Dam is one of the most scenic 5Ks in our area. Louie Kitzmiller, race director stated, “We are anticipating a record turnout, and we hope that the community will take advantage of this opportunity to support the Meals on Wheels program, a cause and a location that is worth the drive.” The 2016 event drew a record crowd 150 competitors from around the tri-state area. Early registration for the event is $20 if received on or before May 1. The registration fee will rise to $25 after May 1. Entry fee for individuals 18 and younger is $15, and the maximum entry fee for an immediate family is $50. 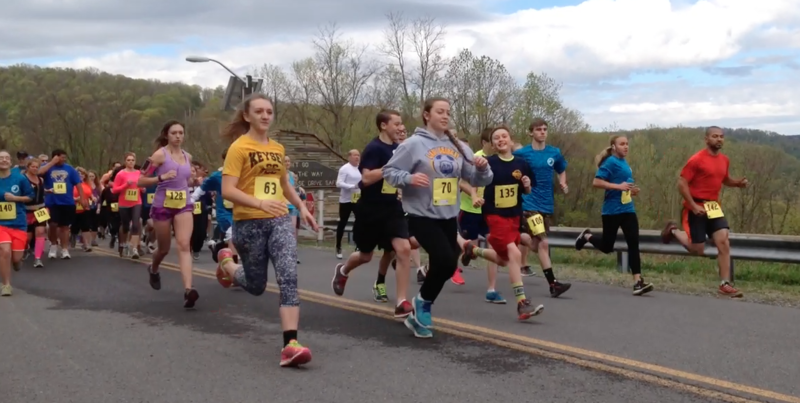 Race day registration is scheduled from 8:30 a.m. until 9:15 a.m. at the Howell Run Picnic Area and the race will begin at 9:30 a.m. The awards ceremony will take place at the conclusion of the race at the Howell Run Picnic area. Cash prizes will be awarded to the top two male and female overall runners. Non-cash awards will be issued to the top three male and female competitors in various age groups. Contact Aging & Family Services at 304-788-5467 or lkitzmiller@wvaging.com for applications and further information. Applications can be found at a senior center or on-line at our web-site wvaging.com. 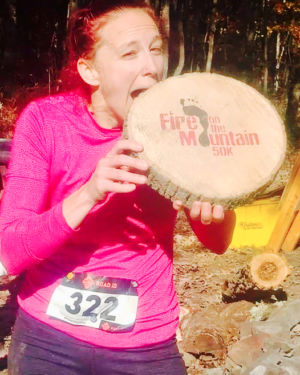 In 2016, 12-year old, Colby Mallery the Mount Savage, Md., resident had the hot breath of 30-year-old David Redman, of Keyser, W.Va., on his shoulder as the two navigated the second half of the out-and-back course — and arguably the most difficult portion of the uphill section. As the two were some 100 meters from the finish line, Redman gestured to Mallery and directed his eyes to the finish line: There it is, Redman said. The seventh-grader from Calvary Christian Academy knew what to do. 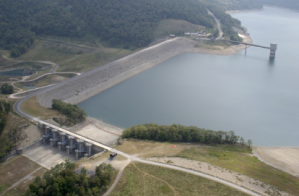 Jennings Randolph Lake is a reservoir of 952 acres located on the North Branch Potomac River in Garrett County, Maryland and Mineral County, West Virginia. The lake, constructed by the U.S. Army Corps of Engineers was completed in 1981. Originally named Bloomington Lake, it was later renamed for West Virginia Senator Jennings Randolph. The lake serves as an emergency reservoir for the Washington, D.C. metropolitan area. We are also in need of corporate and individual sponsors for this event and for volunteers to help the day of the race. If you can help volunteer with the race, please contact our agency.